In recent years, International student enrolments in Ireland have steadily risen and with Brexit looming, these figures look set to continue in their ascension with Ireland being the only primarily English speaking nation left inside the European Union. In 2016 there were just over 19,500 international students enrolled in public, third-level education in Ireland. In 2017, these figures rose to 23,000, accounting for over 10% of public, third-level enrolments. (HEA)With international enrolment contributing so much to the education sector, we've highlighted 5 tips for recruiting and retaining international students. A key influencer in the International student's decision-making process is the ranking of the university they are considering enrolling with. When developing a strategy for recruiting international students, it's important to identify a table that best fits your institution, then focus on improving your rank on that table. From a strong online presence to positive word-of-mouth referral, it's important to ensure your institution has a robust marketing strategy for recruiting International students. International Alumni Networks are a fantastic way of creating a community feel, while at the same time establishing a strong following through engaging social media profiles. While domestic students enrol to achieve a comprehensive education, international students may enrol with the intention of experiencing different cultural activities and immersing themselves into local life along with their educational commitments. Most institutes that attempt to make an international student's experience as fulfilling as possible are aware of their responsibility to help these students and devise class schedules that provide for a quality education and rich social experience. In the United Kingdom especially, UKVI Compliance and Tier 4 Responsibilities are fundamental to the success of international student enrolment. International students are expected to meet certain attendance standards, demonstrating their commitment to not only living abroad but also committing to their educational responsibilities. To help institutions achieve compliance and generate international student attendance reports for auditing, Student Attendance Monitoring solutions help increase the efficiency of attendance data capturing and accuracy of student attendance. 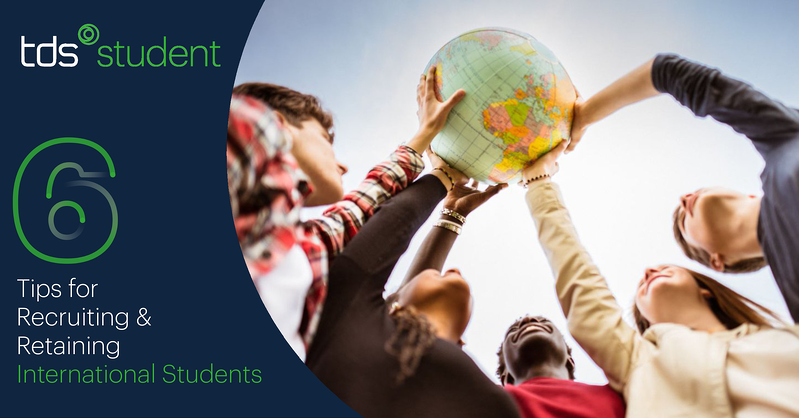 It's important to ensure each academic staff member recognises and understands the cultural and financial benefits that come with the enrolment of international students. As part of an institutes strategic plan, the recruitment and retention of International students should be a high priority. The best way to review the success of a something is by going directly to source to get honest feedback. If your institute is already welcoming and hosting International students, provide them with a short questionnaire to get some feedback. Where international student satisfaction is high, build trust with an international ambassador's club as a gateway to connect with prospective students that may wish to learn more about life at your institution.